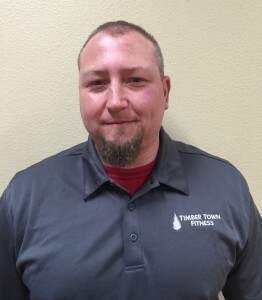 Stephanie is our gym manger and loves being part of the Timber Town Fitness team. Stephanie is friendly and helpful and enjoys working with people. She’s your point of contact at the gym most weekdays. Hi! My name is Kacy Kishpaugh. I have been involved with REFIT® for over 2 years now and I hope to spread the love along to you. I enjoy dancing, reading, cooking and hanging out with my dogs and boyfriend. Jimmy Wheeler is the owner and head trainer at Jimmy Wheeler Fitness LLC, a business he opened in May of 2018 after graduating from Concordia University with a BA in Exercise and Sports Science. While at Concordia he competed two years for their varsity Track and Field team and was the weights coach for the sprints/jumps/hurdlers his third year there. Prior to that he competed for Clackamas Community College for two years. Since graduating, he has passed his exam to become a Certified Strength and Conditioning Specialist through the National Strength and Conditioning Association. Working with clients ranging in age from 7 to 77, his main focus in to create safe and intentional movers capable of taking on whatever their lives require. I am a ASFA certified personal trainer and group fitness/boot camp instructor. Physical fitness has been a huge part of my life. It all started when I joined the Marine Corps. Since then I have been involved in a wide variety of physical fitness including running numerous marathons, competing in triathlons and strength training. I have also coached in the Estacada community including high school and youth sports for 13 years. I have a passion for teaching, uplifting, motivating and educating. I am excited to work with the Estacada community with those who want to take that next step in learning to make a healthy lifestyle change. Carley has been practicing yoga for over 5 years and is a 200 hour registered yoga teacher, trained in Vinyasa style yoga. She fell in love with yoga after she experienced how amazing it made her feel, inside and out. She enjoys watching her students gain strength and flexibility, and she loves to welcome new people to class and see them fall in love with yoga. She also enjoys reading, hiking, eating delicious food with friends, and chasing around her energetic toddler.